Drug and alcohol addiction is an all too common disease throughout the world. Many individuals suffer from addiction while their friends and family members look on in sadness. Many people wonder if addiction can ever be cured, and if so, how? This article will focus on that question and how those suffering from addiction can be helped. What Does It Mean to Be Cured? 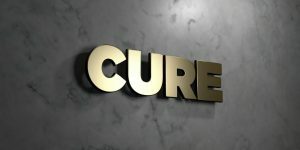 If you look up the meaning of the word “cured” in the dictionary, it is defined as being healed, made better, or restored to better/good health. Many drug and alcohol treatment programs refrain from using the word “cured” and instead use the word “recovery.” Recovery means to find relief from a disease. While these words are similar, they are also very different. To be cured means that you no longer suffer from the illness or disease that you were inflicted with. To use the word “cure” in an alcohol treatment program would mean that the individual no longer suffers from their addiction. A reputable drug treatment program will help the individual to recovery, but also to understand that they should always be aware of their addiction and in tune with their vulnerabilities. If an individual successfully completes a drug and alcohol rehab and believes he or she is cured, they are at significant risk of relapse. Will Addicts Always Struggle With Addiction? The simple answer to this question is yes. While that might seem like a harsh answer, it is actually a step towards lasting recovery. Even if an addict completes an alcohol treatment program, he or she will always be vulnerable to using and needs to be aware that they will continually struggle with the temptation to use drugs or alcohol. Someone who has been sober for years is still considered to be an alcoholic and is believed to be in remission, not cured. Addiction is considered by medical professionals to be a chronic disease; treatable but not curable. That is why drug and alcohol rehab is the best step an addict can take towards recovery. How Does Someone Enter into Recovery? Recovery is a lifelong process for addicts, but drug treatment programs can significantly increase an individual’s ability for successful recovery. Addicts who complete a treatment program have been shown to have a success rate for staying clean up to 10 times higher than those who do not complete a rehabilitation program. Treatment can help addicts detox from their drug of choice, work through their feelings and emotions surrounding their desire to use, and learn skills that will help them effectively cope with their addiction. Most relapses will occur in the early treatment phase, which is why it is important to stick with the treatment program and see it through to the end. Once the professionals and the addict feel as though they have made significant progress, a plan can be made for the individual to move back into mainstream life with a support system and coping strategies in place. Seeking proper treatment throughout their life, individuals with an addiction can safely manage their addiction. While the level of treatment needed will change throughout the course of their recovery, chances are they will need some type of support and treatment as an ongoing part of their life. If you or someone you know are suffering from drug or alcohol addiction, don’t give up hope. There might not be a cure, but with an effective treatment program and the support of loved ones and professionals, addictions can be treated and individuals can live a life in recovery.